Caltech scientists have discovered for the first time a functional link between bacteria in the intestines and Parkinson's disease (PD). 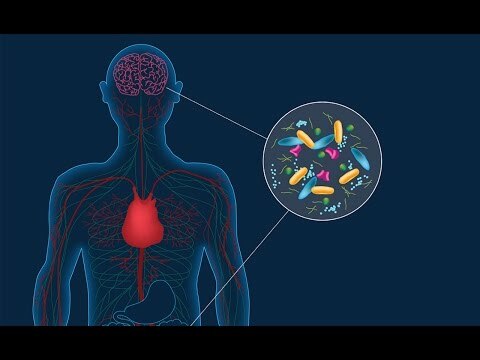 The researchers show that changes in the composition of gut bacterial populations—or possibly gut bacteria themselves—are actively contributing to and may even cause the deterioration of motor skills that is the hallmark of this disease. "The gut is a permanent home to a diverse community of beneficial and sometimes harmful bacteria, known as the microbiome, that is important for the development and function of the immune and nervous systems," Mazmanian says. "Remarkably, 70 percent of all neurons in the peripheral nervous system—that is, not the brain or spinal cord—are in the intestines, and the gut's nervous system is directly connected to the central nervous system through the vagus nerve. Because GI problems often precede the motor symptoms by many years, and because most PD cases are caused by environmental factors, we hypothesized that bacteria in the gut may contribute to PD." To test this, the researchers utilized mice that overproduce αSyn and display symptoms of Parkinson's. One group of mice had a complex consortium of gut bacteria; the others, called germ-free mice, were bred in a completely sterile environment at Caltech and thus lacked gut bacteria. The researchers had both groups of mice perform several tasks to measure their motor skills, such as running on treadmills, crossing a beam, and descending from a pole. The germ-free mice performed significantly better than the mice with a complete microbiome. "This was the 'eureka' moment," says Timothy Sampson, a postdoctoral scholar in biology and biological engineering and first author on the paper. "The mice were genetically identical; both groups were making too much αSyn. The only difference was the presence or absence of gut microbiota. Once you remove the microbiome, the mice have normal motor skills even with the overproduction of αSyn." "All three of the hallmark traits of Parkinson's were gone in the germ-free models," Sampson says. "Now we were quite confident that gut bacteria regulate, and are even required for, the symptoms of PD. So, we wanted to know how this happens." When gut bacteria break down dietary fiber, they produce molecules called short-chain fatty acids (SCFAs), such as acetate and butyrate. Previous research has shown that these molecules also can activate immune responses in the brain. Thus, Mazmanian's group hypothesized that an imbalance in the levels of SCFAs regulates brain inflammation and other symptoms of PD. Indeed, when germ-free mice were fed SCFAs, cells called microglia—which are immune cells residing in the brain—became activated. Such inflammatory processes can cause neurons to malfunction or even die. In fact, germ-free mice fed SCFAs now showed motor disabilities and αSyn aggregation in regions of the brain linked to PD. "This really closed the loop for us," Mazmanian says. "The data suggest that changes to the gut microbiome are likely more than just a consequence of PD. It's a provocative finding that needs to be further studied, but the fact that you can transplant the microbiome from humans to mice and transfer symptoms suggests that bacteria are a major contributor to disease." The findings have important implications for the treatment of Parkinson's, the researchers say. "For many neurological conditions, the conventional treatment approach is to get a drug into the brain. However, if PD is indeed not solely caused by changes in the brain but instead by changes in the microbiome, then you may just have to get drugs into the gut to help patients, which is much easier to do," Mazmanian says. Such drugs could be designed to modulate SCFA levels, deliver beneficial probiotics, or remove harmful organisms. "This new concept may lead to safer therapies with fewer side effects compared to current treatments." The paper is titled "Gut Microbiota Regulate Motor Deficits and Neuroinflammation in a Model of Parkinson's Disease." Other Caltech coauthors include Taren Thron, Gnotobiotic Facility manager and research technician for the Mazmanian laboratory; undergraduate Gauri G. Shastri; postdoctoral scholar Collin Challis; graduate student Catherine E. Schretter; and Viviana Gradinaru, assistant professor of biology and biological engineering and Heritage Medical Research Institute Investigator. The work was funded by the Larry L. Hillblom Foundation, the Knut and Alice Wallenberg Foundation, the Swedish Research Council, Mr. and Mrs. Larry Field, the Heritage Medical Research Institute, and the National Institutes of Health.